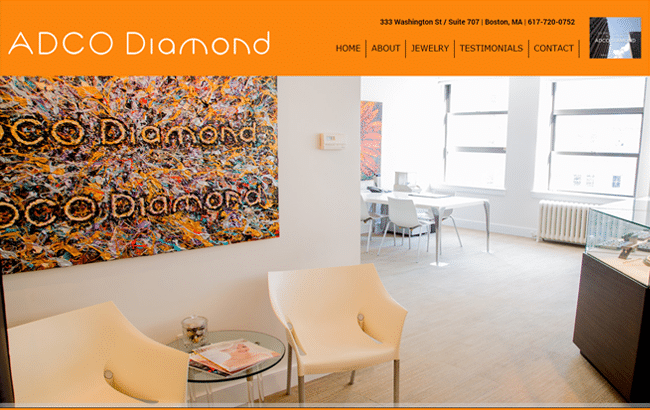 ADCO Diamond is a well known and established diamond retailer based out of Boston, Massachusetts. GoingClear worked closely with the owners to land on a design that showcased the gallery and jewelry as best as possible. 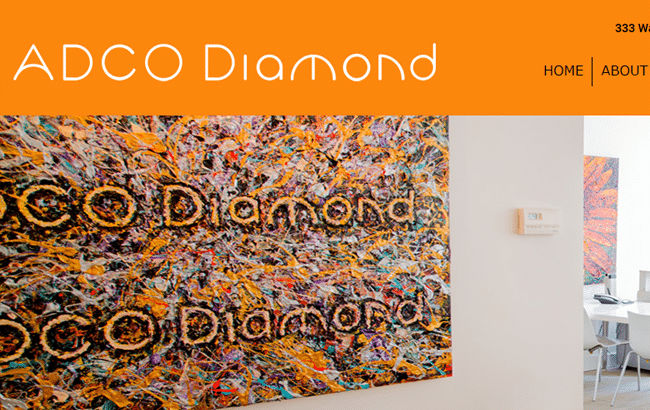 We were inspired to to keep the look and feel bright and open just like their beautiful studio. 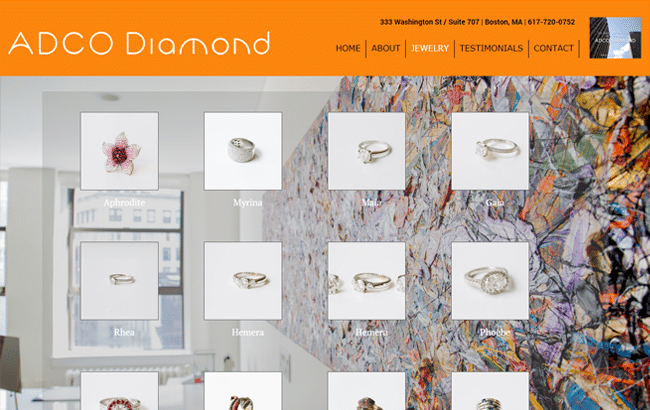 The site boasts a custom embedded video in the header, a custom cartoon slideshow, and a stunning jewelry photo gallery. 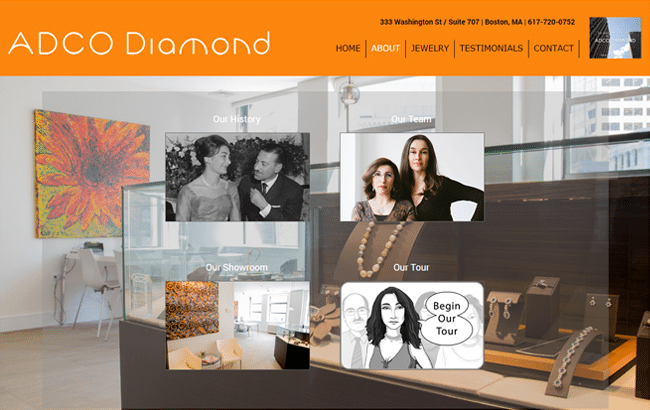 The new ADCO Diamond website was built using a Content Management System (CMS), and is Fully Responsive Mobile & Tablet friendly so it will display well on any device.